Makes short work of tedious soil-working jobs. 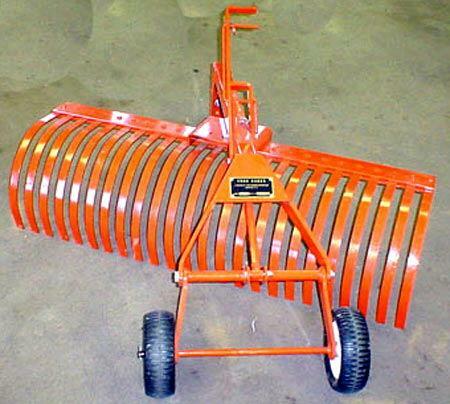 This four-foot Trailer-Type Rake may be drawn in three positions: straight across, or angled to discharge material either to right or left. Need 22 hp tractor or larger to pull. * Please call us with any questions you may have about our rake york 48 inch rentals in Petoskey, Northern Michigan & The Upper Peninsula.